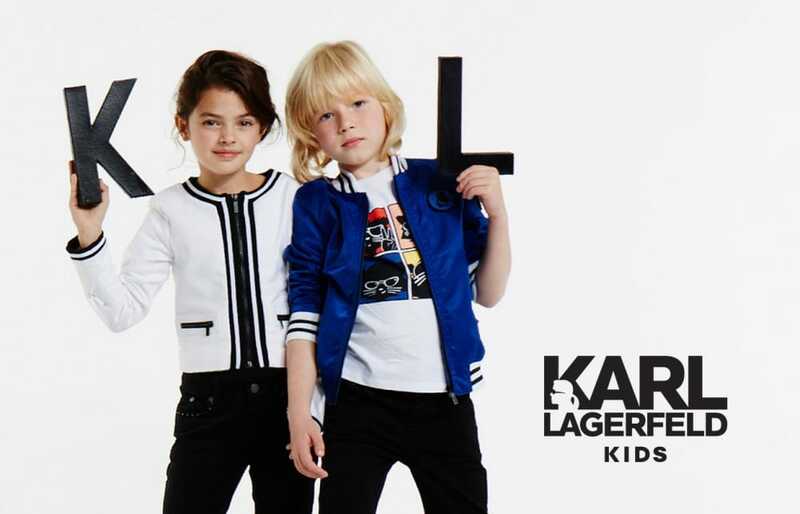 Karl Lagerfeld has long gained a reputation of a renowned fashion designer who aims at creating sophisticated and elegant outfits for young boys and girls aged 0-16. 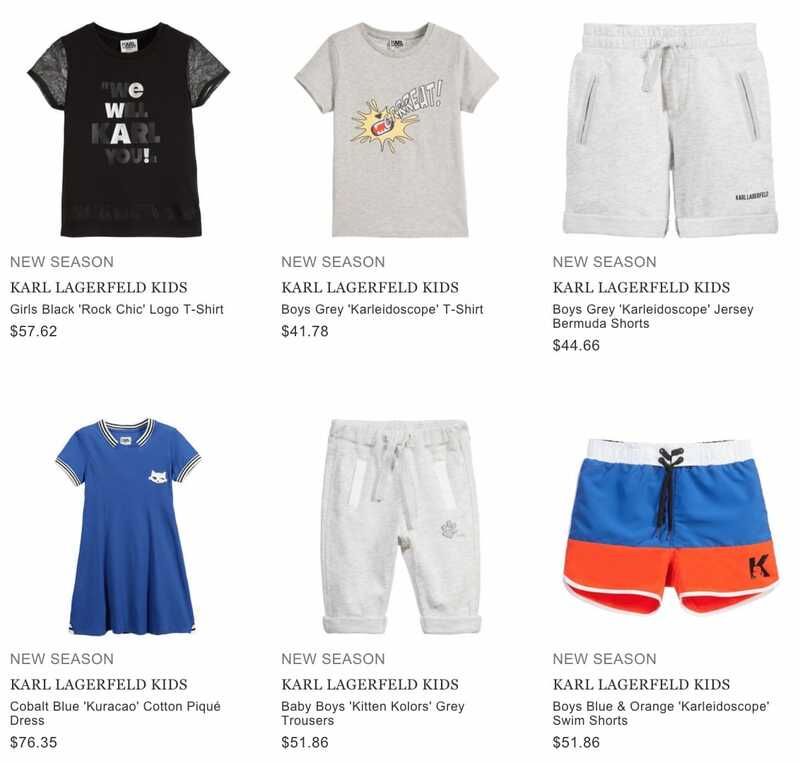 Check out the fantastic range of boys’ wear offered by Karl Lagerfeld and you will definitely find something unique for your young gentleman. A black zipped hoody, red trousers and a stylish cap will be a perfect choice for chilly seasons. In such an outfit your child will not only look fashionable and trendy, but also feel as comfortable as ever. The clothes offered by Karl Lagerfeld ensure a stylish tinge in the outfit of younger and older boys. If you are looking for something more sophisticated for wearing on some special occasion, we recommend you to choose an elegant black suit provided by the designer. Such clothes will ensure that your child looks elegant and luxurious during various special and important events in his life. Elegance penetrates every piece of clothing and every accessory provided by Karl Lagerfeld. The designer aims to create outfits that would suit the taste of young gentlemen. Choose the most exclusive outfit out of the diverse variety of clothes and accessories offered by Karl Lagerfeld and you will ensure that your little gentleman looks his best at any occasion. Don’t hesitate to look through the collections of the designer to find exceptional looks for your child. Karl Lagerfeld is an iconic brand that is known for its elegant and luxury outfits for boys and girls alike. The clothes offered by the brand will enrich the wardrobe of your child with a variety of new styles and designs and this will ensure that your little kid stands out from the crowd and does not look like anyone else.